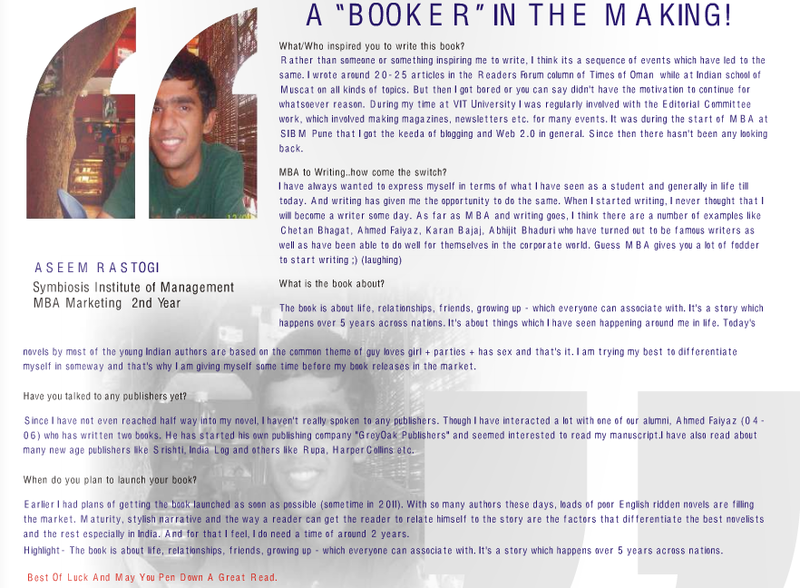 I am sorry but i dont know u..Jus visited ur blog for a book review…. P.S.. I jus loved ur tag line….thats what i meant to do…. Chandrashekhar, there is no particular way of blogging. You just need to put words to your thoughts; it as simple and easy as that. And if you maintain a blog, its generally very important to be regular and constant. And one more thing you need to take care of its to build your reader base. And that can happen only if you write regularly and ask your friends to read. They may ask their friends and so on. To make it popular you have to use Facebook, Twitter, Gmail, Orkut, Google+ etc. etc. In my blog I write anything and everything. But I would suggest if you want to write, you can choose a set topic say cricket and write only on that. In this way what happens is slowly but surely people recognize you as a person who knows so much about cricket. This way more and more cricket lovers will come to your website. Or you could write random stuff like your thoughts, life etc. on your blog.